Nigerian Journal of Basic and Applied Sciences. 2015; 23(1): 7-13. Sokoto Journal of Veterinary Sciences. 2008; 7(1): 65-70. Sokoto Journal of Veterinary Sciences. 2008; 7(1): 53-58. Sokoto Journal of Veterinary Sciences. 2008; 7(1): 9-13.
International Journal of Health and Rehabilitation Sciences (IJHRS). 2014; 3(1): 7-18.
International Journal of Research in Medical Sciences. 2014; 2(3): 1134-1137. Sokoto Journal of Veterinary Sciences. 2013; 11(1): 38-44. Bacteriology and Resistance Patterns of Community Acquired Lower Respiratory Tract Infections. Adekunle O.T., Shittu O.B., Alabi B.L., Adeniyi N.A., Ogunfolakan O.O., Alabi A.O., Agunlejika A.S.
International Journal of Health Sciences and Research (IJHSR). 2015; 5(11): 119-124. Sokoto Journal of Veterinary Sciences. 2014; 12(2): 31-40. Rufus Adesoji Adedoyin,a*, Oluwatosin Esther Adeleke,a, Awopeju Olayemi Fehintola,b, Gregory Efosa Erhabor,b, Luqman Adeleke Bisiriyu,c. Journal of Physical Therapy (JPT). 2013; 6(2): 54-58. Sokoto Journal of Veterinary Sciences. 2016; 14(3): 18-25. Journal of Applied Pharmaceutical Science. 2016; 6(6): 037-041. 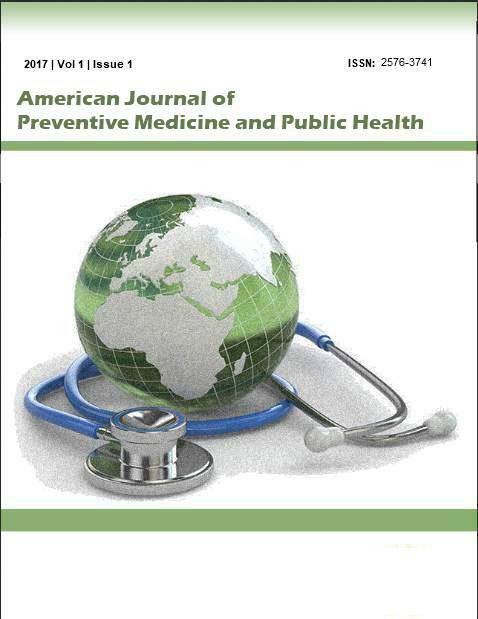 American Journal of Preventive Medicine and Public Health. 2017; 1(1): 27-34.
International Journal of Reproduction, Contraception, Obstetrics and Gynecology. 2016; 5(2): 317-322. Journal of Environmental and Occupational Science. 2016; 5(4): 71-76. Journal of Environmental and Occupational Science. 2014; 3(2): 97-102.
International Journal of Livestock Research. 2016; 6(9): 49-58. Journal of Applied Pharmaceutical Science. 2015; 5(8): 090-094. Sokoto Journal of Veterinary Sciences. 2018; 16(1): 38-44. Journal of Applied Pharmaceutical Science. 2016; 6(9): 128-132. Journal of Applied Pharmaceutical Science. 2015; 5(7): 048-052. Abdullateef Gbenga Sule, Loius O Odeigah, Kolawole Moradeyo Alabi, Baba A Issa, Razak Olatunji Shittu, Anthony Itopa Joseph, Olagunju Fatai Abiola,Butawa Nuhu Natie. Turkish Journal of Family Medicine & Primary Care. 2014; 8(2): 39-47. Journal of Behavioral Health. 2014; 3(3): 176-180. Journal of Environmental and Occupational Science. 2014; 3(3): 141-146.